I have been in the online publishing space since the early 1990s. Since the year 2000, I have been working in Indian Languages (Indic) in the digital space. In 2010, I contributed a chapter in the book “15 Years of Internet in India”. In December 2012, I was listed amongst the “Icons of India’s Digital Ecosystem“. In late 2012, I was offered to join the team that worked on “Mission 272+ Digital Campaign for 2014 General Elections in India“. It was a great experience as it was the first time a digital campaign was used in a big way during general elections. Grade I-X from Kendriya Vidyalaya (Malleswaram-Bangalore, Danapur Cantt-Patna, ASC-Bangalore). PUC (XI & XII) from National College, Basavangudi (Bangalore). Our PUC exams were very eventful (in the wrong way). Under Graduate Degree (B.E.) in Computer Science & Engineering from SJCE, Mysore [3rd in class, 7th rank in Mysore University]. How did Mahesh.com start off? How to send money to India from the US to India? Which was the cheapest Long Distance carrier to call India? US Immigration FAQ – this is popular even today. TeleUSE FAQ – for techies. My personal site had gained very good traction amongst NRIs. In 1995 I decided to rename it as mahesh.com. My first job in the US at EVB ended in 1995 and I decided to move to Dalmatian Group which specialized in GUI development using TeleUSE. In 1998 I joined Paragon Software in Virginia. Paragon developed a CORBA ORB called Oak. In 1998 I moved the contents of mahesh.com to BhaaratEkKhoj.com. 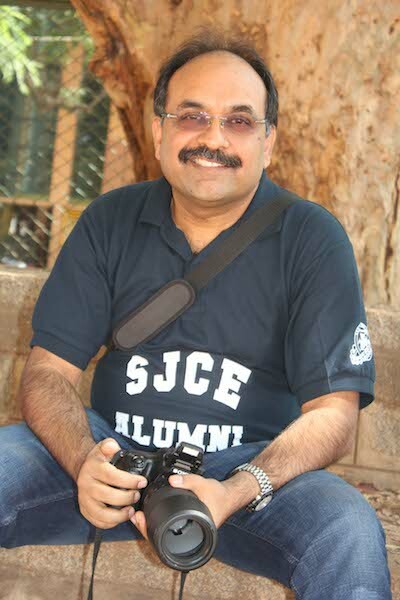 In 1999 I met Raj Koneru and decided to start indiainfo.com in Bangalore. Internet was big in the US and people were expecting the phenomenon to repeat in India. It was a very interesting experience for me – hiring & managing people for the portal. There were very few who understood portal in 1999. I was always concentrating on the core part of the portal – content and technical. I could/can write content, I could/can understand technical issues. It is a wonderful combination to have. I had my share of designations: “Co-Founder & President – Portal”, “Co-Founder & CTO” and finally “Co-Founder & CEO”. In early 2000 I initiated the launch of Indian languages on the internet. We didn’t know how well it would do but I should say we did well by all standards. There was a huge followership for our language portals from NRIs based in the US. By August 2000 the entire Internet portal scene changed in India – a majority of the portals shut. Rather, all fly by night operators disappeared. It was a painful phase of my life. Wasn’t sure what to do as the company had grown in multiple cities. It was decided the company had to be “right sized” which was the correct decision. We had many issues to take care of and it was then I was made the CEO of the company. It was a challenge which I took upon myself. Had to learn all aspects of running a company “without money”! I had some of the finest people working with me at Indiainfo (content and technical). It is not easy to keep a portal going without any marketing budget and funding but we successfully did it. In Dec 2005 I resigned from indiainfo. In 2006, I founded Greynium which owns many India specific portals with the focus being on languages. We reached new heights in the Indic space thanks to the explosion of mobile internet in India. In 2017 India’s leading mobile app, DailyHunt took a majority stake in Greynium. I resigned from Greynium in February 2019.